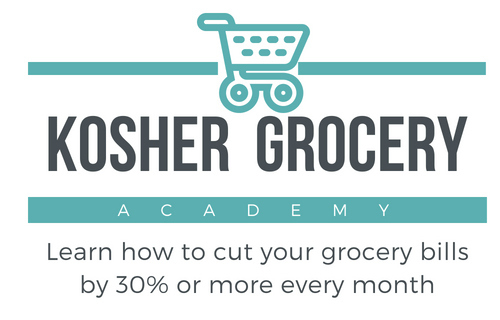 Welcome to Kosher on a Budget! I’m glad you found me! My name is Mara. I’ve been married for 13 years to Frankie, and together we have three children: two boys and one girl. My family moved to Cleveland, Ohio this past August, by way of six years in Kansas City, by way of 12 years in Israel, by way of a bunch of Midwestern towns – and a few East Coast ones, too. Seven and a half years ago, my husband and I were drowning in debt and I couldn’t imagine having $100 in the bank – let alone an emergency fund. In my series An Honest Discussion, I reveal the intimate details of these personal finance struggles and how we overcame them. If you came to KOAB because you are feeling overwhelmed by a mountain of debt, take heart: You’re not alone. Today we continue to live on a tight budget — by choice — so that we can afford to splurge on the things we really want while building a solid foundation for our family’s future. Now I want to show you how to do it, too — whether it’s making and sticking to a budget, menu planning and frugal cooking, deal hunting, or getting freebies. There are thousands of frugal living blogs out there, but what makes Kosher on a Budget unique is that it’s written by me — a modern Orthodox Jewish woman, raising a strictly kosher-keeping family of five. You won’t find anything on KOAB that isn’t kosher – literally or figuratively! Now that you know a little bit about me, I can’t wait to learn more about YOU! Leave me a comment or contact me with any questions or suggestions you might have! The only comment I have is (beside of course the word THANK YOU) that maybe 90% of the listings that you posted were not relevant or couldn’t find the page… but the rest is just wonderful! Doing such a great job I really really like this way of life. Hooray! Greetings from Florida. I’m so excited to have found your blog! I’ve been looking for a blog about money management from a Jewish perspective for MONTHS! I don’t mean this in a bad way at all. I just have a question that I need some insight into. Reading through Torah, when an animal is slaughtered for food purposes, including the chicken, it has to be done in a way in which the blood is spilled on the ground and covered up. Modern chicken slaughtering facilities don’t do this, as they take the blood contents and sell them for other manufacturing purposes. With that in mind, how would buying chicken at Costco be kosher? I’m a Jewish mother in a family of 9 that tries to keep the strictest kosher possible. It would be so much cheaper to buy a chicken at Costco or Sam’s Club, but from what I understand you can’t buy kosher chicken there. Many Costco’s carry Empire Kosher Chicken among other Kosher meat products – depends on your location. There are two Costco’s near me and one carries A LOT of Kosher meat products and the other only has limited frozen Empire products. You can also talk to the manager, if there is enough demand they can make it a regular product for that store. Good luck!